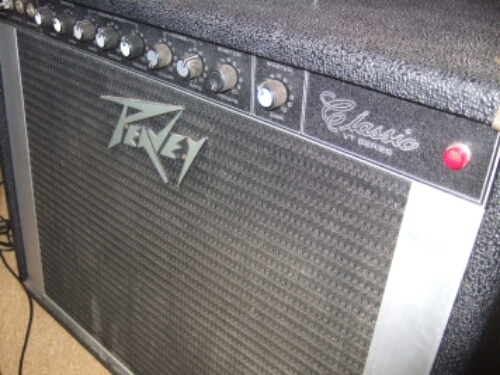 So this original Peavey classic vt from 78 had a duff output transformer. It’s actually 34 years old and on the original valves. If you drop it down a flight of stairs you risk damaging the stairs. It’s that solid. Although Peavey recently closed there UK facility down there are still lots of other suppliers that can step in for output transformers. So if you fear the worst on your old amp lighten up, you may find it costs a few quid for a part but spread that cost over the lifetime of the amp and it is significantly less than buying new. Typical costs are about £50-£100 for a 50 watt output transformer and around £120 for a 100 watt one. What I really like about these Peavey amps is the DC power supply feeding the valve heater element circuit. It’s one of the circuit features that can make an amplifier run without any hum. But there is a downside that perhaps Peavey could have done better on. If your valve king has stopped working suddenly i.e. heater light out, then this could be your problem and the solution is a simple repair and modification. The heater supply circuit contains a fuse F203 to protect the transformer. Some Diodes D206-D209 to recify the AC to DC and smoothing capacitors. Consider what happens when the a valve fails with a short circuit between heater filament and cathode. In this reasonably common situation, the rectifiers are passing a lot of current and will typically blow before the fuse. Some design improvements I have been thinking of is adding a second heater fuse at terminal point HTR, then the the whole circuit is protected by cheap fuse. The fuse would be rear panel mounted and would be a great addition. Also the fuses F203 and actually a couple of others are soldered directly to the circuit board and can not be changed very easily. So what I like to do is replace them with PCB mounted fuse holders and standard 20mm fuses. You can see this below where F203 has been replaced. This gives the user the ability to easily replace the fuse in the event of failure. However, since fuses ususally blow for a reason such as faulty tube or other component the cause must be identified and remedied. One of the first fault finding tasks any tech will usually do is replace the fuse and see if the fault repeats. If it does, then of course the fault finding trail continues. All that said, these amps sound absolutely terriffic and are really quiet from a hum point of view. I personally really appreciate the lack of hum so well done Peavey for bringing DC heaters to the masses.